The 2013 Olivier Awards were handed out last night (28 April), with Nick Hern Books plays and authors enjoying success across a variety of categories. Stephen Sondheim’s brilliant, bloody musical Sweeney Todd was one of the big winners of the night; the critically-acclaimed Chichester Festival production picked up three awards, including Best Musical Revival, Best Actor in a Musical (Michael Ball) and Best Actress in a Musical (Imelda Staunton). The hat-trick of Olivier Awards adds to an already impressive haul for the production, which won five prizes at the audience-voted Whatsonstage.com Awards in February, as well as the Ned Sherrin Award for Best Musical at the Evening Standard Awards back in November. Long Day’s Journey Into Night, Eugene O’Neill’s intensely autobiographical, magnificently tragic play, won Best Revival. The production, starring David Suchet as aging actor James Tyrone, ran at the Apollo Theatre between April and August. The script, and a wide variety of other Eugene O'Neill plays, is available from NHB. Also recognised was the Royal Court’s season of new writing in the Jerwood Theatre Upstairs, which won the Outstanding Achievement in an Affiliate Theatre award. The season contained no less than four NHB plays: Luke Norris’ taut and tender debut Goodbye to All That, Bruntwood Prize-winner Vivienne Franzmann’s dark and penetrating thriller The Witness, Jez Butterworth’s haunting, ethereal The River, and the startlingly inventive A Time to Reap by Polish playwright Anna Wakulik, translated by Catherine Grosvenor. All four are published by Nick Hern Books. The winners, voted for by a combination of selected panellists and members of the Society of London Theatre, were announced at a ceremony at the Royal Opera House, Covent Garden. UPDATE - 12:05, 22/3/13: THIS COMPETITION HAS NOW CLOSED. 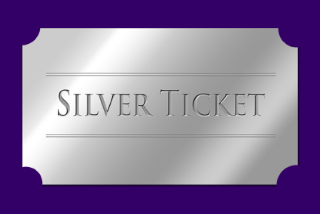 LOOK OUT FOR ANOTHER SILVER TICKET GIVEAWAY SOON. Thanks to the folks at the Royal Court, we’ve got two tickets to give away to the 14:30 matinee performance at the Royal Court Theatre, London on Saturday 13 April.